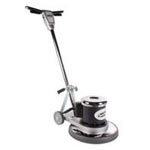 Great for use with our 20 inch dual speed floor machines, due to the red pads dual purpose use. 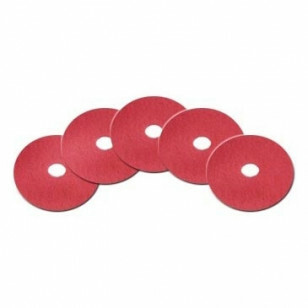 The red floor pads can be used for every day scrubbing and and some light duty buffing. Our 20 inch white polishing pads are a perfect compliment to these red pads for providing a high shine while polishing. For more heavy duty scrub pads, take a look at our complete line of floor scrubber pads. Excellent for scrubbing floors in our facility Review by B.O.R. These light duty pad are great. They work very well! I would recommend them to anybody! Great buy!